12/19/2017 16CVE28396 PNC Bank, N.A. Holly N. Carrick, et al $45,000 14 N Arch Street, Dellroy, OH 44620 SOLD $30,000 PNC BANK, N.A. 1/16/2018 17CVE28860 Residential Bancorp Cindy J. Ferguson, et al $60,000 411 Raley Ave. SE, Carrollton, OH 44615 SOLD $40,000 RESIDENTIAL BANCORP. 3/6/2018 17CVE28894 Deutsche Bank National Trust Co., as Trustee Kristen Campbell, et al $69,000 516 N. Plain Street, Malvern, OH 44644 SOLD $46,000 DEUTSCHE BANK NATIONAL TRUST CO.
4/10/2018 17CVE28897 Deutsche Bank National Trust Co., as Trustee Janet L. Lautzenheiser, et al $27,000 9393 Linden Rd., Minerva, OH 44657 SOLD $18,000 DEUTSCHE BANK NATIONAL TRUST CO.
5/15/2018 17CVE28874 U.S. Bank, N.A. John S. Biedka, et al $72,000 118 South Hilltop Dr., Minerva, OH 44657 SOLD $71,000 U.S. BANK, N.A. 7/24/2018 18CVE28989 JPMorgan Chase Bank, N.A. Emilee Vint, et al $99,000 3490 Steubenville Rd SE, Carrollton, OH 44615 SOLD $79,800 JPMORGAN CHASE BANK, N.A. 10/30/2018 18CVE29017 CIT Bank, N.A. Unknown Heirs of Janet L. McEntire $120,000 6276 Germano Rd. SE, Carrollton, OH 44615 SOLD $105,000 CIT BANK, N.A. Sheriff sales are held Tuesdays at 10:00a.m in the lobby of the Carroll County Sheriff’s Office. All sales are pursuant to the provision of the Ohio Revised Code. There will be a second sale date for every unsold property. The second sale date will have no minimum bid. Although there is no minimum bid, purchaser is responsible for costs, allowances and real estate taxes the proceeds of the sale are insufficient to cover. The purchaser will follow the same deposit amount as the first sale requirements. 3rd party purchasers be advised: If you are the highest bidder of a property, the plaintiff has the right to reverse the sale and can buy the property back for the amount you bid. The plaintiff has 14 days from the sale date to redeem the property. The deposit you made will be returned to you. The judgment creditor and/or any lienholder(s) are entitled to submit a bid via email or fax prior to 4:30 p.m. the business day directly before the sale. The judgment creditor and/or any lienholder(s) bids are not disclosed until the time of the sale. This bid will be the opening bid. The Sheriff's Office will only give the maximum bid of the judgment creditor and/or lienholders(s) at the sale. The purchaser information form must accompany the bid. Fax Number: 330-476-5139. Bids may only be submitted by the plaintiff and must be received by 4:30pm, the day before the scheduled sale. Buyer beware that he/she may be responsible any and all outstanding costs. When and where are Sheriff Sales held? Sheriff Sale foreclosures are conducted on Tuesdays at 10:00am on listed dates. Sales are held in the lobby of the sheriff’s office. How do I find out about upcoming sales? 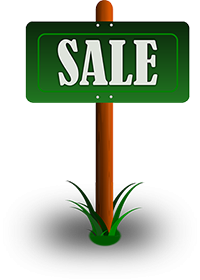 Sales are posted on the Carroll County Sheriff’s website and also advertised in the Carrollton Free Press Standard newspaper. The Carroll County Sheriff’s Office does not pre-register for sales. Can I submit a bid before the sale? No bids accepted prior to the sale. Can I view a property before the sale? The sheriff’s office does not have keys to the properties. The Sheriff’s office nor any affiliates have access to the inside of said property. Where can I find a property description? A complete property description may be found at the recorder’s office. Certified, cashier’s or personal check. The balance is due 30 days from the date of the sale upon receipt of the confirmation entry. Are there any liens against the property? All liens are to be cancelled by the plaintiff’s attorney and a clear titled deed issued. *All sales are “buyer beware”.